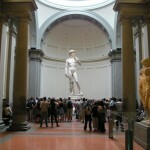 Private tour of the historical centre of Florence, Michelangelo's David and the Best of the Uffizi Gallery. Skip the line with your private tour guide. 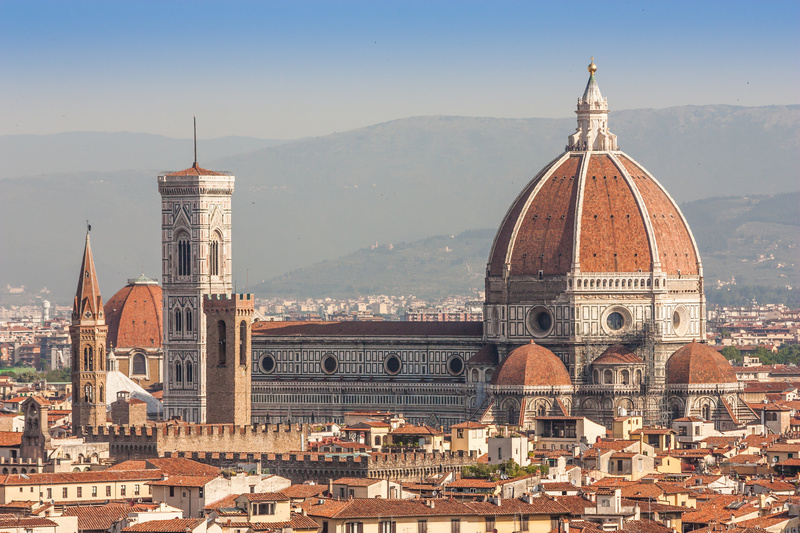 This full day tour of Florence is a great solution for those travelers who spend just one day or two in Florence and they want to get the most out of their day. The guided tour of Florence will start at your hotel or a different meeting point chosen together with your Florence tour guide. It’s a walking tour of Florence and even if we stop for a lunch break, coffee and gelato, it’s not suitable for children. 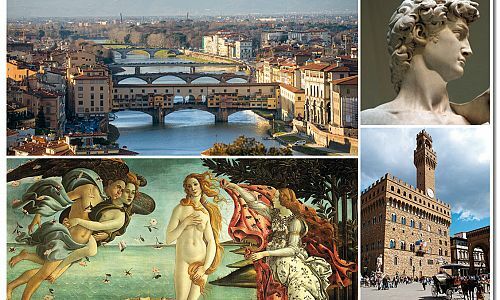 During this full day tour of Florence you will learn about the history of the city, its great artistic treasures and about all the things that make Florence one of the most beautiful cities in the world. The Florence guided tour is dedicated to those travelers who want to catch the spirit of Florence and its people, exploring also the lesser known corners that hide fascinating stories. The Guided Tour of the Accademia Gallery is focused on Michelangelo’s David, made by the sculptor when he was only 26 years old. However, there are other works of art by Michelangelo worth seeing, such as the Slaves, four unfinished statues that hide symbols and stories that make Michelangelo’s life even more intriguing. Your private tour guide of Florence will make the reservation for the entrance tickets in order to avoid the queues in the unreserved lines. The entrance tickets for the Accademia and the Uffizi are not included. 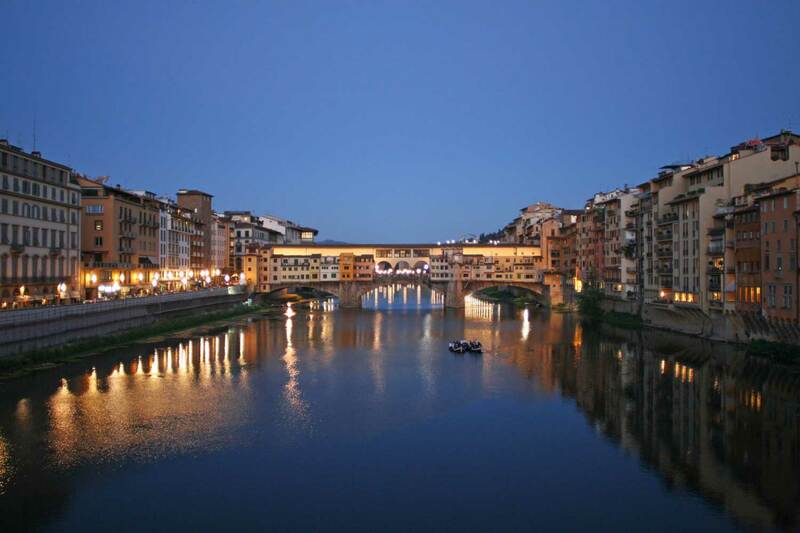 This Florence tour is dedicated to you and your tastes and for this reason your private tour guide will do her best to customize it according to your needs; for me, flexibility and enthusiasm are the best qualities of a personal tour guide of Florence. The Uffizi and the Accademia Galleries are closed on Mondays. On the first Sunday of a month it’s not possible to make a reservation to skip the long lines. Eliza knows Florence in and out. She is a lovely person, very knowledgable, and we had a fantastic day with her. It was a relaxing, yet informative walk with a very enjoyable gelato stop. Her knowledge of art, history, architecture, and Florentine culture is superb. Thanks Eliza! Eliza is a natural born (true) storyteller. She was a captivating tour guide and took us on an amazing day through Florence. We hit all the high spots and some that were off the beaten path. We cannot recommend her highly enough. Thank you, Eliza for a terrific day! Eliza was a gem We booked the 7 hour walking tour of Florence with the 2 art galleries, with the knowledge that one of us has difficulty walking long distances. Eliza was great in tailoring the tour to our needs and we had many rest stops along our day.Her English is very good and her knowledge of Florence is vast. It was so much better than the big tour groups. She really lit up when we got the art museums as art is her passion.She knew so much about all the art.Our tour went 9 1/2 hrs! Grazie Eliza! We took a day trip to Florence with our family of 5 (3 young adults). We wanted to get the most out of the day and decided on a guided tour. This is the best thing we could have done. We were very fortunate to find Eliza as a guide. She did an excellent job of showing us around, keeping all family members engaged, and making the most of our one day trip. Her knowledge of art and history is impressive. We did a tour of the Uffizi and Acc. She added so much. She is very bright and fun. Our family of 5 (including 3 teenagers) had a wonderful full day tour experience in Florence with Eliza in Dec 2014. She was engaging and knowledgeable and quickly built a great rapport with our children, who didn't grumble despite a few museum visits. Eliza met us at our apartment and planned the tour to bring us back again, making sure we hit all the highlights along the way. She was full of tips for shopping, dining and further exploring this wonderful city. You couldn't ask for a better guide than Eliza! She is gracious, knowledgeable, and professional! She is very well versed on world issues, and made talking to her like talking to an old friend! Her tours thru the 2 major museums brought history and art alive by looking at the highlights of the museums. Her flexibility and familiarity with the area made the tour go very smoothly. 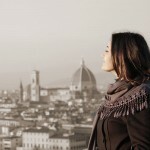 After using 5 guides in Europe, we actually still miss Eliza, and would absolutely use her again for more sites in Florence! Wow! The whole family, myself, husband, 18 y.o. son & 17 y.o. daughter enjoyed Eliza so much! We had a full-day with her (2 gelato stops & lunch) we learned so much about the Florentine history, art and the current political issues of Italy. My son's favorite Italian City is Florence! It was a very casual experience that all can enjoy even my daughter as it was her first time hearing some of artist's names and seeing their artworks. Best tour guide in Florence! Yes, have had others. Book with Eliza! Had a great time with Eliza and saw all of the highlights in the great city of Florence. Her intimate knowledge of the city and museums allowed us to bypass almost all tourist congestion even on one of the busier days of the season. Probably would have taken us 2-3 days to see the same amount on our own and we wouldn't know all the great stories behind the buildings and art.